2007 – Senior scientist Mark Serreze. Said “The Arctic is screaming,” & in a “death spiral” !! 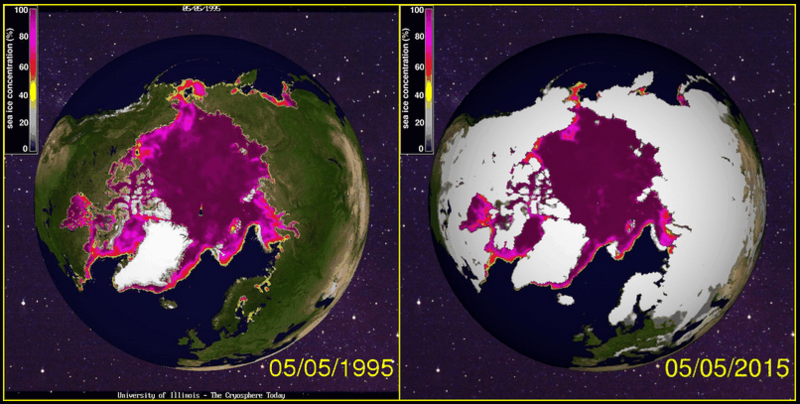 In 2015 – The amount of sea ice in the Arctic is essentially identical to 20 years ago. Also look at the amount of snow cover in May 2015 – the so called ‘hottest year heifer’ !! Yet in 1958… the first submarine surfaced in clear water at the North Pole. They couldn’t have done that in 2015 because of… to much ice !! The models are a muddle !! 2015 Arctic sea ice had one of its shortest summer melt seasons on record (160 days), & saw record autumnal re-growth; Arctic sea ice thickness was up 40% over the previous four years. Arctic sea ice continued its record autumn growth, having gained ~six million km² since September 1 after the shortest melt season on record. The 2017 max Arctic Sea Ice extent ~14,300,000 sqkm….similar to the last few years. 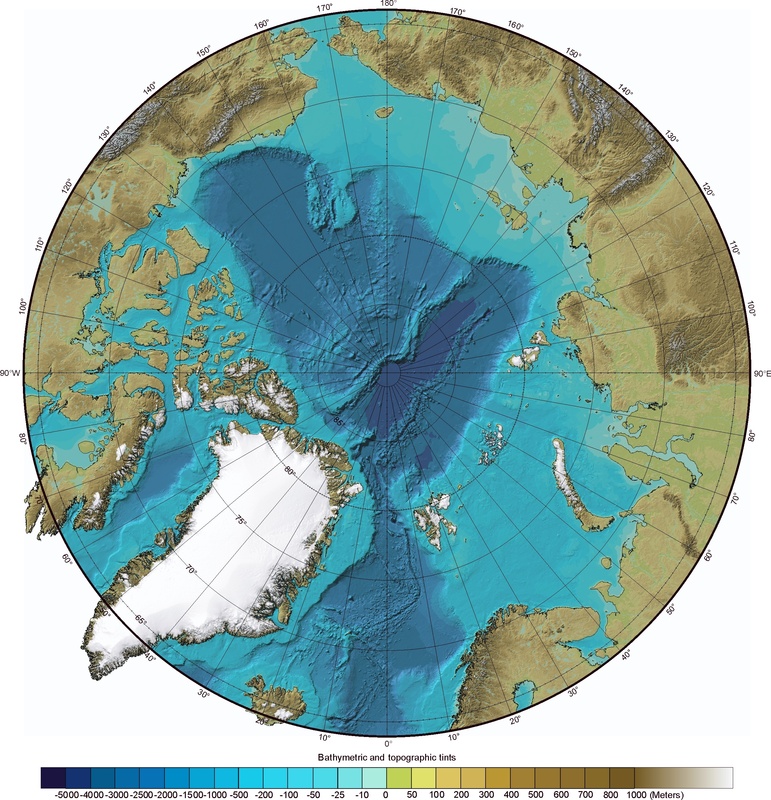 Source: http://ocean.dmi.dk/arctic/icecover.uk.php the page on this site updates daily. It shows the full range of years going back to 1995. They don’t tamper with data, like NSIDC do. 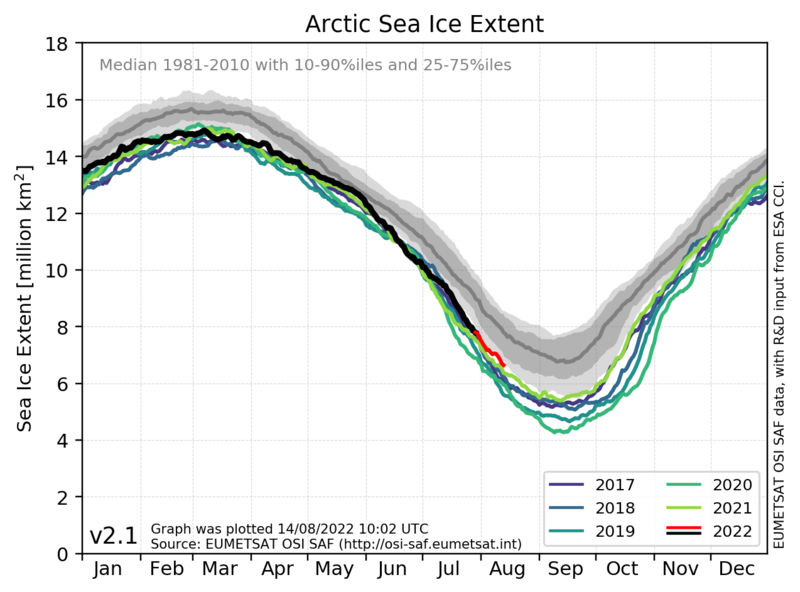 Having missed all their ice-free Arctic predictions for 2008, 2010, 2012, 2013, 2014, 2015 and 2016, some of our ‘top scientists’ are moving the goalposts (of settled science), now forecasting an ice-free Arctic by 2050 (long after they’ve retired or died). 2015 Arctic sea ice thickness is up 40% over last 4 years coupled with rapid area gains (& CO2 is still rising). 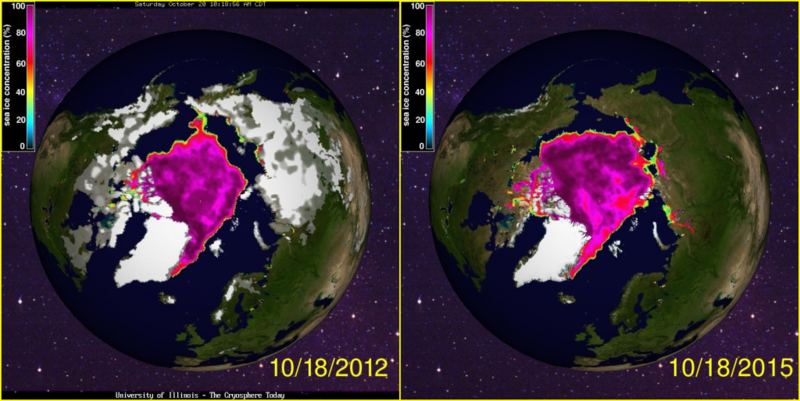 By Sept 27 2015 it was ~ 2 million kM² more ice than for the same date in 2012. The Mid-Arctic Rift System is 1100 miles long / 120 miles wide (runs north of Iceland to Siberia separating the Eurasian & American tectonic plates) topographically expressed as high mountains and Grand Canyon scale trenches http://www.earth-of-fire.com/geology-volcanoes-and-climate-the-mid-arctic-rift.html it’s an extension of the mid-Atlantic ridge.